When ESPN took over the Southeastern Conference (SEC) syndication package for football, the television crew that was known for years as having the "Three Daves" was broken up. Dave Neal joined ESPN as the play-by-play man for the SEC Regional Network game package. Dave Archer moved over to FS South as the color analyst for their seven or eight game package. 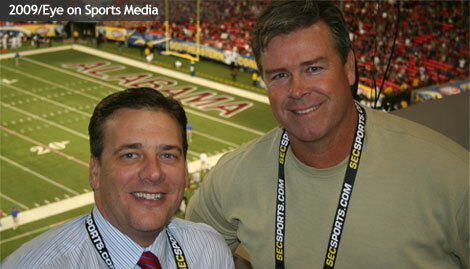 Dave "Buzz" Baker joined CBS College Sports as the host of the SEC Tailgate show. On Saturday the night, the Three Daves reunited to broadcast the 2009 SEC Championship Game between Florida and Alabama on the SEC Radio Network. SEC Radio Network. 2009/Eye on Sports Media.